The main draw for February’s Three Rivers Capital Pittsburgh Open has been released with Australia’s World No.14 Ryan Cuskelly and Switzerland’s World No.18 Nicolas Mueller (right) seeded to meet in the final of the PSA World Tour Bronze tournament, which will take place between February 6-10. The 2019 edition of the Pittsburgh Open will be a Bronze tier tournament for the first time, while prize money has more than doubled to $52,000, with a high-quality draw battling it out for the title at the Rivers Club. Cuskelly is seeded on the same side of the draw as Hong Kong’s World No.26 Leo Au, Mexico’s World No.30 Cesar Salazar and France’s World No.32 Gregoire Marche. The Australian, along with the other top eight seeds, receives a bye into the second round and will face either Switzerland’s Dimitri Steinmann or Mexico’s Arturo Salazar for a place in the last 16. Mueller, meanwhile, is seeded to meet Egypt’s Zahed Salem in the semi-finals, but will first have to navigate through a draw which includes the likes of Egypt’s Youssef Soliman and Malaysia’s Nafiizwan Adnan. Home interest comes in the form of United States No.1 Todd Harrity and World No.63 Chris Hanson, who will face India’s Mahesh Mangaonkar and Scotland’s Alan Clyne in the opening round. England’s Lyell Fuller and Egypt’s Mustafa Nawar occupy the wildcard spots and will face Wales’ World No.59 Peter Creed and England’s World No.57 Richie Fallows in round one. The event is open to the public to attend and will be held at the Rivers Club in Pittsburgh. 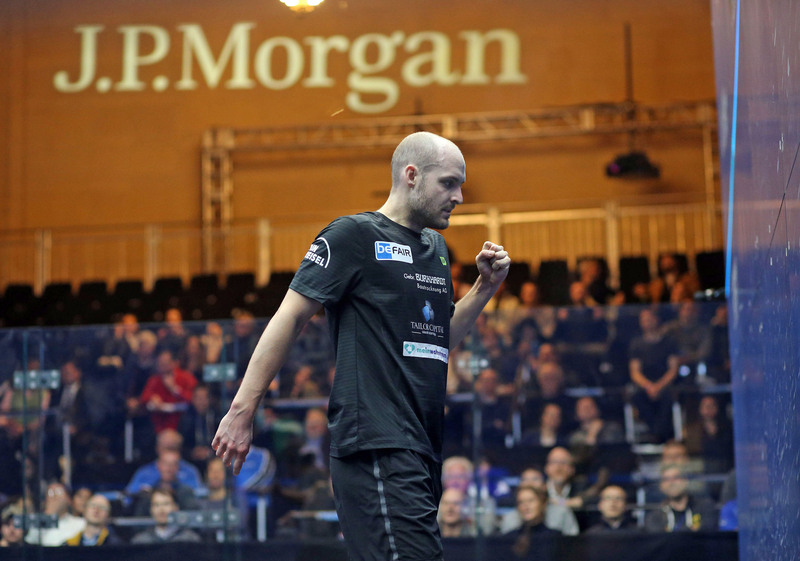 Australia’s World No.14 Ryan Cuskelly will headline the Three Rivers Capital Pittsburgh Open when the PSA Bronze tournament takes place from February 6-10 in Pittsburgh, United States. Last season’s tournament saw Hong Kong’s Max Lee take home the title and, with the tournament continuing to go from strength-to-strength, this year will see another stellar line-up battle it out for the title as it becomes a PSA Bronze tier tournament for the first time. Australian No.1 Cuskelly – who claimed the Chicago Open title earlier this season - will be joined by some big names in men’s squash, including Switzerland’s World No.18 Nicolas Mueller, Egypt’s World No.25 Zahed Salem and Hong Kong’s World No.26 Leo Au. Meanwhile, home interest comes in the form of World No.48 and United States No.1 Todd Harrity and World No.63 Chris Hanson, while the wildcard spots are taken up by England’s Lyell Fuller and Egypt’s Mustafa Nawar. They will face tough competition from the likes of Mexico’s World No.30 Cesar Salazar, France’s World No.32 Gregoire Marche and Egypt’s World No.35 Youssef Soliman.